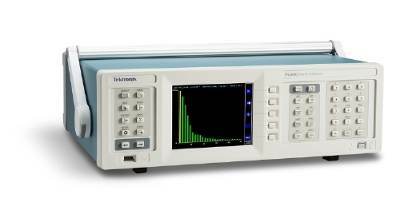 Tektronix introduced the PA3000, a 1- to 4-channel AC/DC power analyzer optimized for testing today's single- and multi-phase, high efficiency AC-DC and DC-AC power supply designs. The PA3000 is the industry's first multi-channel power analyzer with 10 milliwatt standby power measurement capabilities and a 1MHz bandwidth with mid-range pricing. With power efficiency gaining center stage as a design criteria, electronics designers are under pressure to ensure product designs meet new Level VI efficiency standards and IEC 62301 standby power requirements. In addition, they often are required to meet other energy consumption standards such as CEC, Energy Star, and more. Meeting efficiency standards and time-to-market requirements means that power analyzers should be standard on every engineer's bench. With its combination of high-end features at a breakthrough price, the PA3000 makes this possible. 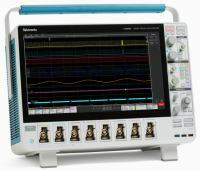 "In looking at the changing power test landscape, it's clear that a versatile, cost-effective power analysis solution is a critical need across the board," said Mike Flaherty, general manager, Power Analyzer product line, Tektronix. 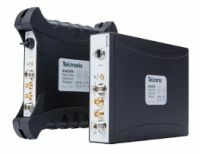 "The PA3000 delivers a unique combination of milliwatt-level measurements for standby power testing to the latest standards, and more than enough bandwidth to support applications like wireless charging, LED lighting, and other applications where high fundamental frequencies are involved. We also made it easy to use with a color graphical display so users can quickly see harmonics, crest factor and noise." Suitable for a broad range of R&D and validation applications, the PA3000 supports testing to Level VI efficiency standards for external AC/DC power supplies coupled with dedicated energy consumption testing in integration mode for standards like Energy Star and CEC. It also offers a complete solution for full compliance testing to IEC 62301 standby power requirements. The instrument's high 1 MHz bandwidth supports the LED module energy certification requirements of CQC-3146, as well as harmonic analysis on wireless chargers with KHz level fundamental frequencies on the transmitter and receiver. To support a wide range of applications, the PA300 includes more than 50 standard measurement functions, including harmonics, frequency, and star-delta computation and has multiple analog and digital inputs for sensor data such as thermocouples, speed sensors, and torque sensors. Built-in ±15 V supplies for external transducers support high current applications. The PA3000's full color display features intuitive readout of measured values, waveforms, harmonic bar charts and energy integration plots. Setup is easy using the menu-driven interface and soft keys. Included PWRVIEW software automates instrument setup and enables data collection, analysis, and report generation with just a few clicks using wizard-driven interfaces.